Yes, you are seeing correctly. 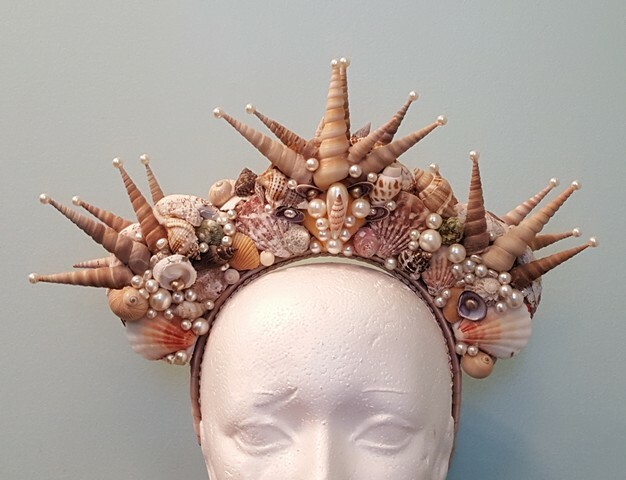 Cyrene is a mermaid crown created by Bombshell Revival Designs using a variety of sizes, colours and shapes of seashells and pearls. It was designed on and to be worn like a headband. I have felt the pull to create a mermaid crown or headpiece for some time now and it was time! I finally got it out of my system and am very pleased with the results. Now, I am looking forward to seeing all the lovely sirens of the sea out there try it on! I wonder which one will fall in love and just have to make it hers?